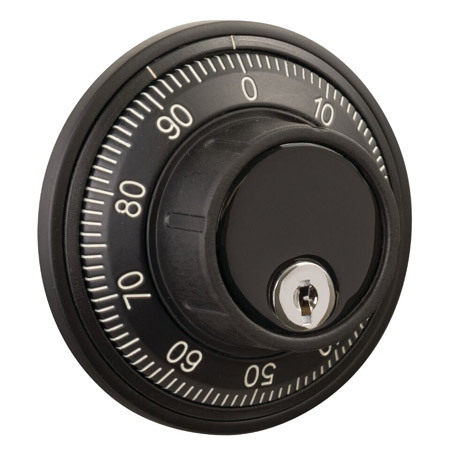 Mechanical Dial Combination Locks We do not encourage customers to change combinations on mechanical locks. Too many times when safe owners attempt to change their combination they make costly errors. For the purpose of changing combos, dial locks can be grouped into “key change” and “hand change” types. Key Change Locks: When changing the combination, the lock gets dialed to a different indicator mark than when dialing the safe open. A special tool called a “change key” is inserted into the back of the lock and it is turned a certain way. Then the lock is dialed to the new combo, after which the key is turned back. Group 2 and Group 1 locks are all key change models, as are some non-rated locks. There are many different change keys because the number of wheels in the lock, wheel construction and wheel spacing are different from one model to another. 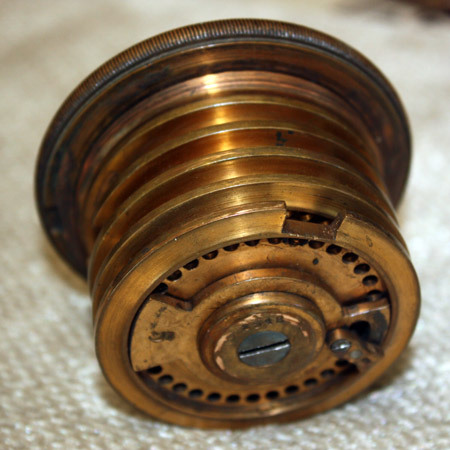 There are theoretically 1,000,000 potential combinations on a standard three wheel lock; you can usually pick out any three numbers you want, from “0” to “99”. Hand Change Locks: These locks need to be disassembled to change combinations. There are numerous different procedures, all dependent on the make and model. Some require that pegs or screws get repositioned on the lock wheels and/or the wheels themselves get switched. On some models the wheels themselves get partially disassembled, then re-assembled. Hand change locks normally have many fewer potential combinations than key change models, and they are less resistant to manipulation. “Direct entry” locks are always hand change. With most hand change locks you are not able to just pick out the numbers you want. Remember, don’t try to change mechanical combinations yourself – call the trained technicians at Hoogerhyde Safe in Grand Rapids for assistance!